Product #21456 | SKU 80496 | 0.0 (no ratings yet) Thanks for your rating! 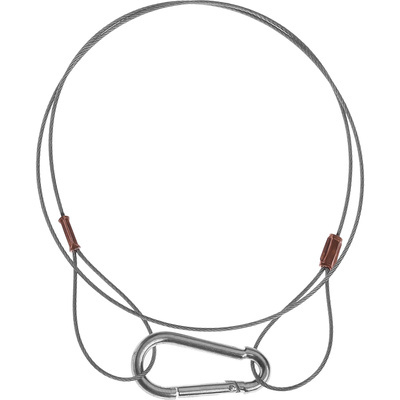 Braided wire cable with caribiner one one end and loop on the other end, which provides extra security for lights mounted on overhead pipes, dropped ceilings and grids. 600mm length.